MCCC Chairman pauses at the War Memorial in quiet reflection after laying a Wreath in remembrance of the Great Wars. Mid-Cheshire Camera Club remembers the dead of all the conflicts and wars over the last 100 years, especially the First World War. 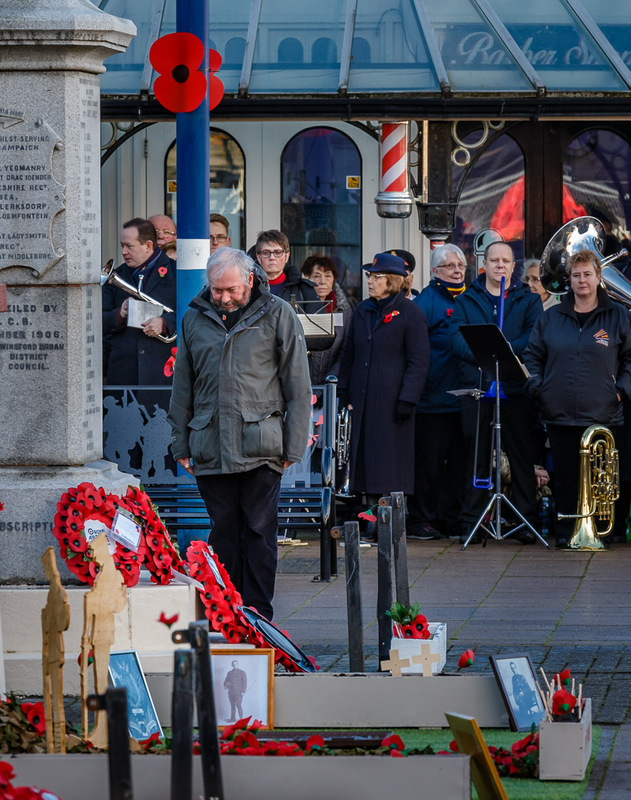 The Chairman of Mid-Cheshire Camera Club, Ian Whiston, lays a wreath on behalf of the club at the town’s Remembrance Day Service on Sunday 11th November. This Remembrance Sunday commemorates 100 years since the signing of the Armistice. 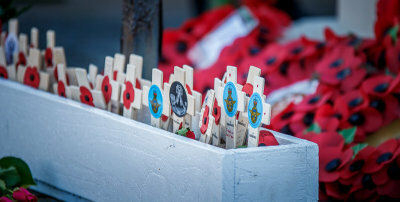 There was a good turnout from the local community who took an active role in the service, with prayers, hymns and opportunity for private thoughts of the heroic men and women who laid down their lives for us.